Mike left for Kenya to climb a massive effing mountain for charity. Thankfully I’ve spoken to him today so I know he’s made it up and back down. Reuben had an eye infection. I cut his fringe and you can tell. And, he grew over night. Literally. The pyjamas I put him in yesterday now don’t fit! So a fairly slow news week! I’ve been thinking for a while about how to improve traffic from Pinterest. I’ve grown my likers this month from 555 on 6th March to 766 last night…but my general traffic hasn’t increased. My own pins don’t get repinned that much despite me spending a lot of time on Picmonkey creating masterpieces (their words). My most popular pins and click throughs come for simple photos with no text on them…?! However, I have a feeling that traffic from Pinterest grows with time as people hunt around. Time for my motto: It’s a grower not a shower! So, perhaps I’ll keep an eye and have a proper review in say 6 months to see what’s working. 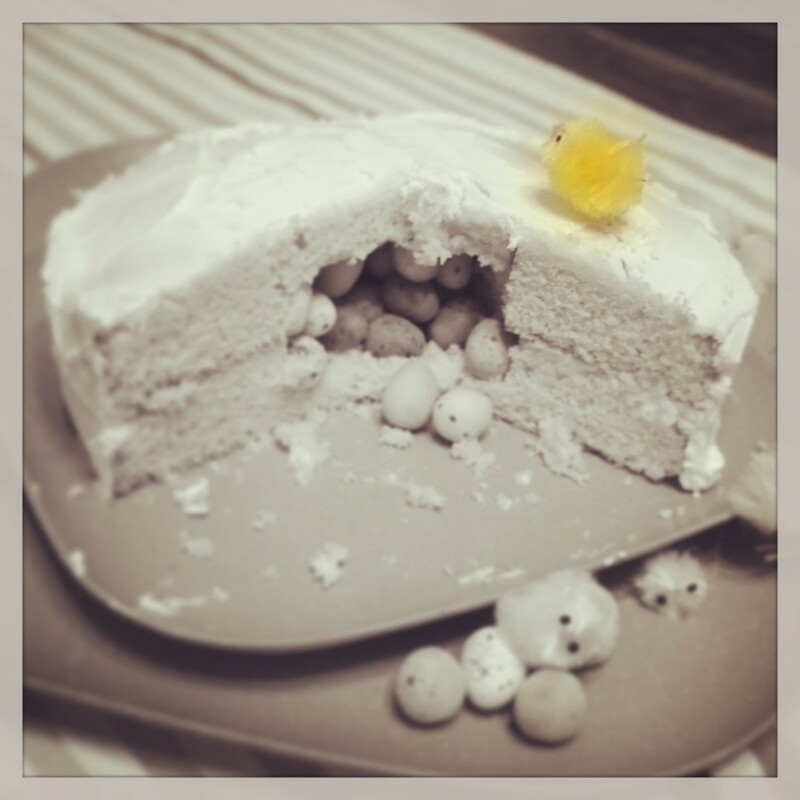 Anyway, I’ve worked hard this week on my Easter Egg Hunt Cake blog (inspired by Grace’s Mums’ List #1) – Monday night baking, Tuesday night taking photos and eating, Thursday afternoon editing photos and pulling the blog together! So, while my photos need to get better, I’m still quite pleased with the result and I would massively appreciate it if you wouldn’t mind pinning a picture to your Easter Pinterest boards! Cheeky. On that subject, this was my most popular Instagram this week, which I did in…you guess it! Picmonkey. I’ve been engaging a bit on the Britmums forum and got some lovely advice about how to grow this linky. I’d recommend popping any questions you have on there. It’s a quieter forum but everyone seems lovely! I also really enjoyed this post Saturday vs blogging. My most popular post continues to be Mummy Tummy and had 2.2K hits last week (!) – my theory behind this, which I forgot to share, is that it gets a higher page rank because of the videos. Apparently blogs with videos do better SEO wise? I can’t remember the science but I would really like to do more work with video. But I feel like I want to do it properly, which therefore means doing a course, buying equipment, etc…? In the meantime I loved this little tutorial video from Oh Joy! I’ve been stalking her this week and I want to be her when I grow up. What does your list look like? 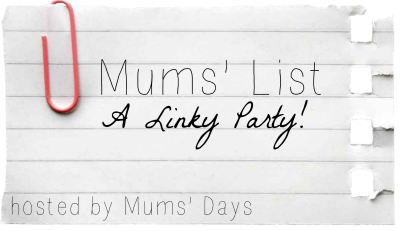 Link below and don’t forget to add the Mums’ List badge to your post and visit some of your fellow linkers! I am exhausted just trying to keep up with my blog development research, let alone thinking about Pinterest but having said that, I have been trying to get into it a bit more by asking people to suggest pins for my beauty product board. Not that I’ve got around to it yet: story of my (blog) life. Do you feel sometimes that the whole business is a bit overwhelming and really it shouldn’t be because it’s a blog? That’s not to take anything away from yours (you know I love it!) but I’m sure you get what I mean?!? How are you coping now that the garlic has gone? You should put it as your lock screen or something, so that it’s always with you in spirit. Yes and yes (not regarding the garlic, I’ll be glad to just have a normal sized clove to put in the crusher!) – it’s ridiculous. 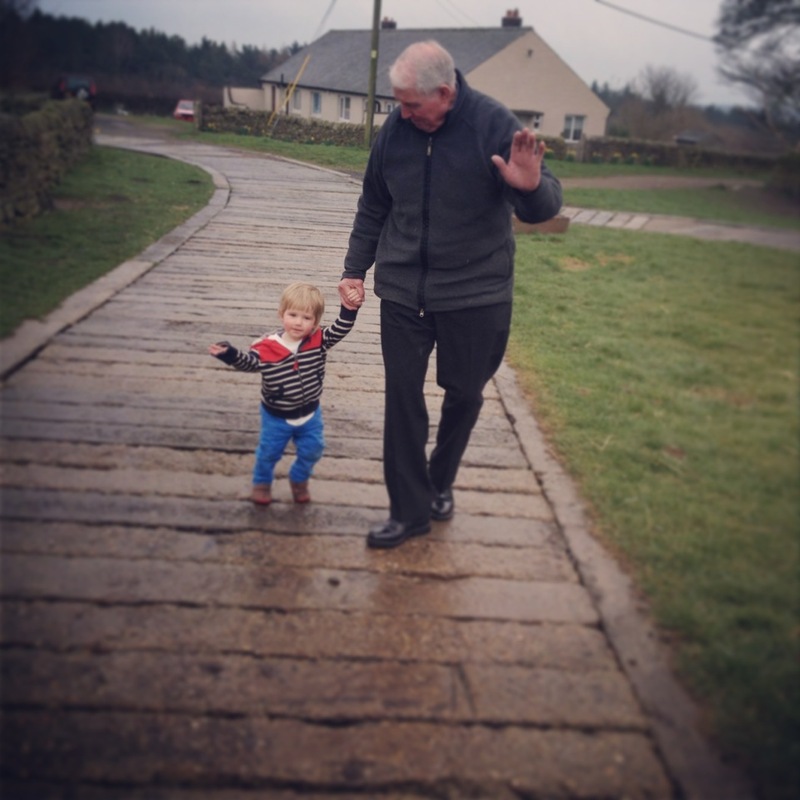 I was trying to describe to my Grandparents what I do with my time while Reuben is with the childminder…they looked at me like I was nuts! It’s all completely and utterly pointless (if you don’t get it, obvs!) and yet completely and utterly overwhelming. I worry all day long but as my best mate reminded me this week, it’s just something to do with myself and at best I might help a few people. God love her! You have more followers on Pinterest than I do, but I will still share some things I recently learned: I get loads more repins when I post to a group board. I was invited to one by luck and hope I join more because it’s hugely beneficial. I also learned how to add a “pin it” button beneath each photo on my blog…with time we will see if that helps much. Just google “Pinterest button generator” and you’ll find the Pinterest business site that allows you to build buttons. Fun! Cheers to another great week. I should have my list done by tomorrow.